It is important to have a website that fits the needs, plans, and tendencies of you or your organization. Getting started with a website can be tough, reworking or restarting a website can be tougher. I have thought about starting websites for many years, and here is some of the advice I give clients today. When thinking about a website, most people start off thinking about the pretty pictures or layout. A smaller percent start thinking about programs or code. The better focus is the content & content generation. Content is why you go to a website, and why you go back. A key to achieving either goal is to have fresh relevant content that is presented in a way that the audience wants it. We don’t know what we will generate. Our generation does not fit a current website very well. Here is a plan that will help you determine what content will be generated. 1. set up a blog style page. 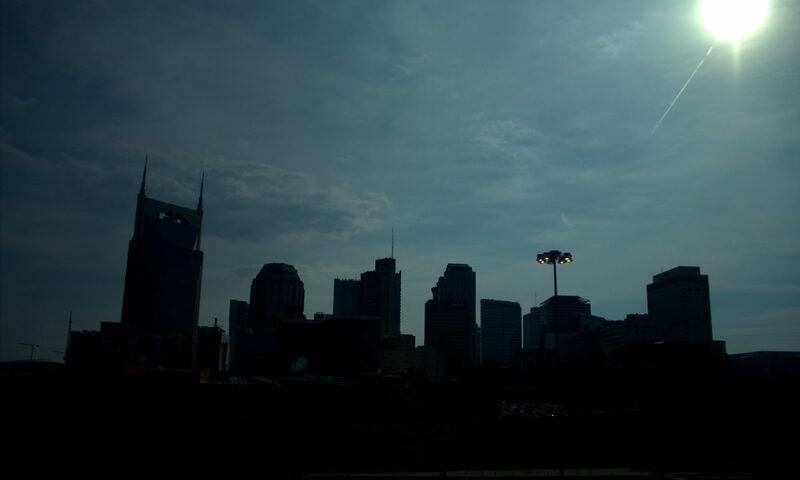 This could be either the main page of the website, or a subpage. 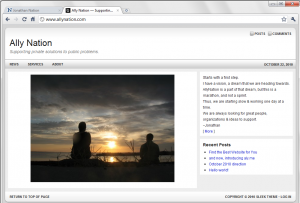 2. post – post like your site was 100% complete with the best website you could have. As if everything on the site was done; Magazine or Newspaper style front page, all the subpages. Do this for 1 to 6 months. Key with #2 – make sure you tag each post. Use lots of tags, but the most important tags are the potential categories or overall themes of the site. 3. after enough posts, take the tags and see what the common themes were. If you are using a WordPress based site, this is very easy to do visually with the tag cloud. 4. start designing your site – this could be yourself, or you could find a professional who grasps that websites are tools and that content & communication with audience is the key. At this point, you have some answers. You know how hard & how easy specific types of content are to generate. What are their likes? What do they want more of? Why do they come to your site? What content will be generated on a regular basis (and how best to display it) ? What does our audience(s) desire ? 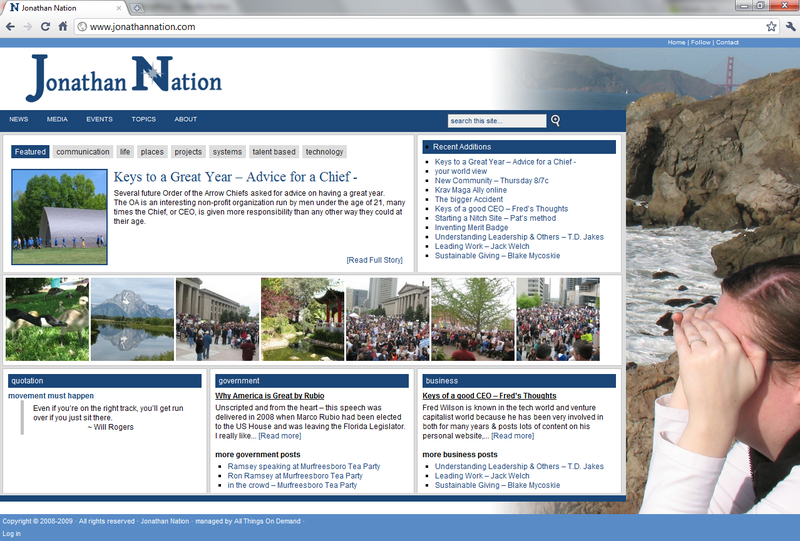 This is what JonathanNation.com looked like as this article was posted. The time it takes a developer to produce a final site could be hours, if you choose a core theme, like what StudioPress Premier Themes, or a long time – all depending on how much custom graphics and the abilities of the developer or development team. This process can work for established websites too. 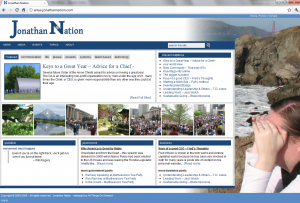 I found that the design for my personal site, JonathanNation.com, was not fitting the content I produced, and was more of a distraction for myself then a great way to take what I did and spread the word. I am now starting this process, with this very post. We are also going though this same process here on AllyNation.com.